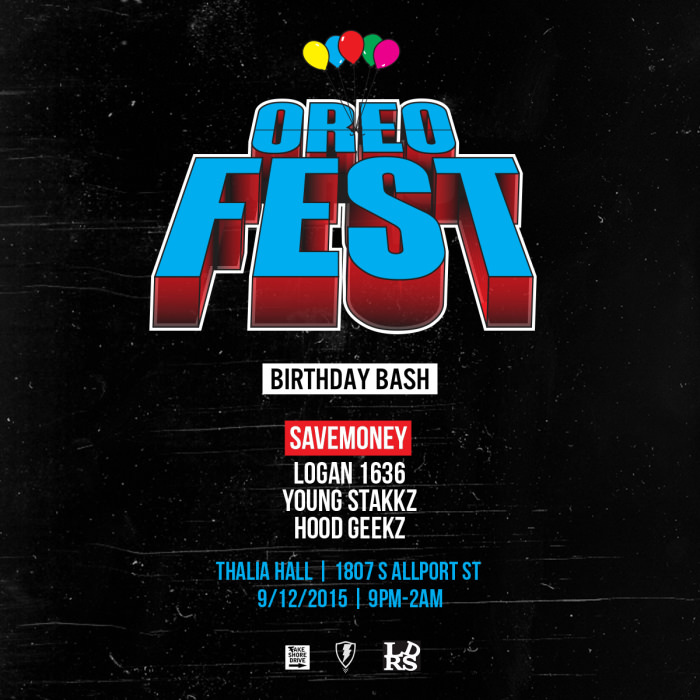 On September 12th, DJ Oreo will be taking over Thalia Hall in Pilsen for the Birthday Bash edition of Oreo Fest. That’s right — Oreo Fest is back, bigger and even better. This time around, Oreo will be joined by The HoodGeekz, Yung Stakks, Logan and SaveMoney. If you know Oreo, then you know that he’s got a few surprises up his sleeve so expect some very special guests to also be hitting the stage. The event (which is 18+) will be kicking off promptly at 9pm next Saturday (9/12) and tickets are only $10. Today, FSD has one pair of tickets for a lucky reader out there and all you have to do to win them is follow the directions below. Hit the jump and find out how they can be yours. Tweet me (@someguynamedty) the correct answer the trivia question below with the hashtag #oreofest and a winner will be chosen randomly. Good luck! DJ Oreo was a member of which acrobatics team?